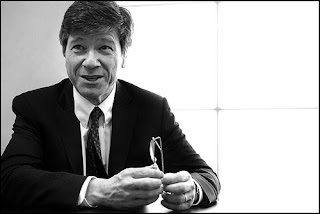 Nigeria could be the third most populous nation in the world by 2100, after China and India, with 700 million people, American economist Jeffrey Sachs has said. Sachs famous for such books as The End of Poverty, currently serving as special adviser to United Nations Secretary General Ban Ki Moon, said a three-child policy is needed to contain the imminent population explosion. The report said Nigeria’s population currently stands at around 160 million (10 million more than official estimate), adding that some estimates project that Nigeria could have over 700 million people by 2100 (i.e exactly 89 years from now), placing it third in population behind China and India. Proffering a solution, Sachs said, “I am really scared about the imminent population explosion in Nigeria. It is not healthy. Nigeria should work towards attaining a maximum of three children per family,” Sachs told AFP on the margins of a presidential interactive meeting with key members of the business community. He told the meeting earlier that an increased annual economic growth rate from the current seven percent, encouragement of integrated development in economy, agriculture, urban and rural sectors, provision of a good health system, education, power, railway, could see the country become one of the most important economies in the 21st century. But a Nigerian family planning expert Isaac Ogo, in an interactive session with yours truly said the 'three child' proposal is not feasible. He pointed to the tradition of polygamy and the belief that the children were seen as a “gift from God” in a male-dominated society. Mr Ogo, from the Planned Parenthood Federation of Nigeria, agrees with the goal but says it will be hard to change the views of many Nigerians. He says Nigeria is a “high birth, high death” society where many people think: “I need to have as much children as I want, as I don’t know which will survive.”. To affirms Mr. Isaac's opinion further it is a general believe among the Yorubas of western part of Nigeria that you don't count Children for the owners. A general belief more prevalent in the remote villages where the bulk of Nigerian population is very high.The Northern, Eastern and South southern part of country can be said to be not so different in their traditional belief towards family planning.